Dancers are busy ladies. Especially if they don't want to go somewhere! They always have practice when they should be doing something else... suspicious! 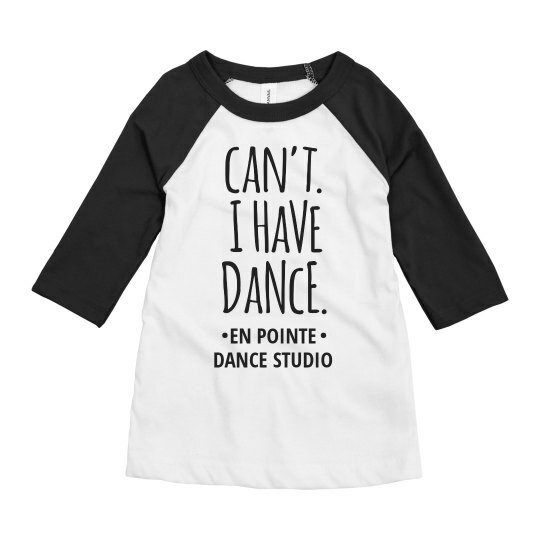 This customizable design is great for any little dancer who has a lot to do. You can even add the name of their studio at the bottom to complete the look. Custom Text: EN POINTE | DANCE STUDIO | . .